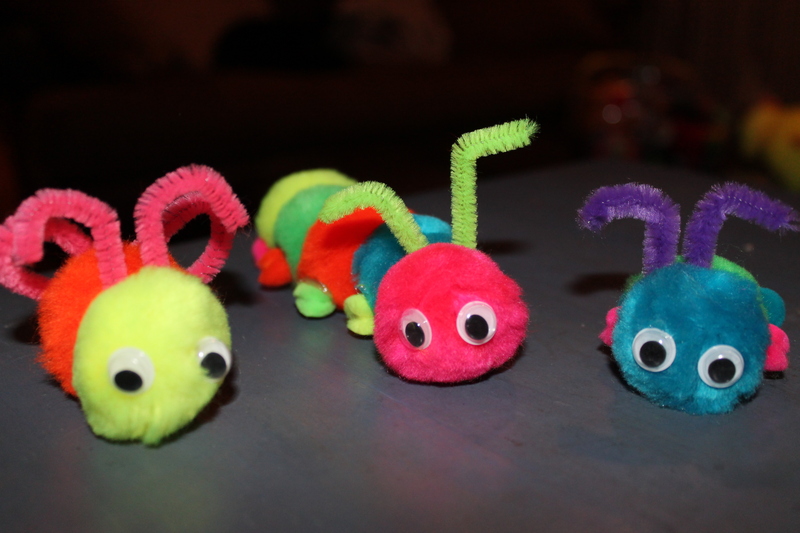 Be creative and have fun with them use my bugs as your inspiration. 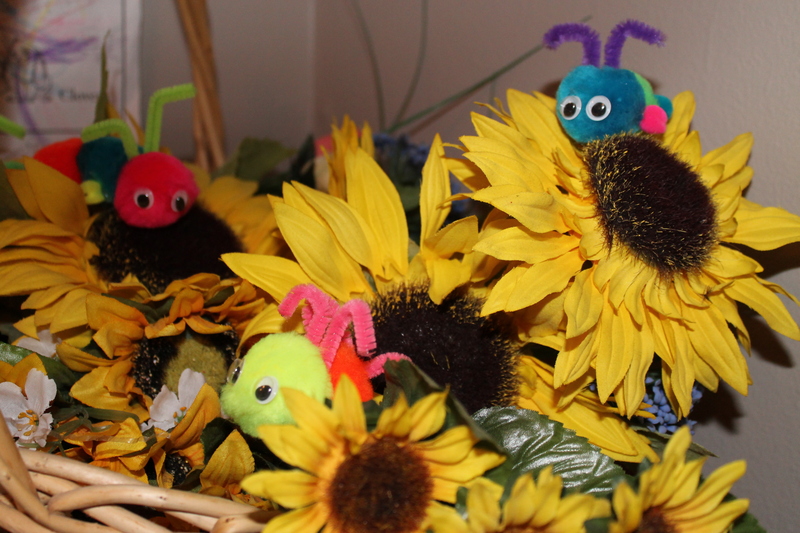 Make sure your bugs have wiggly eyes, pipe cleaner antennas and maybe even wings made out of pipe cleaners. 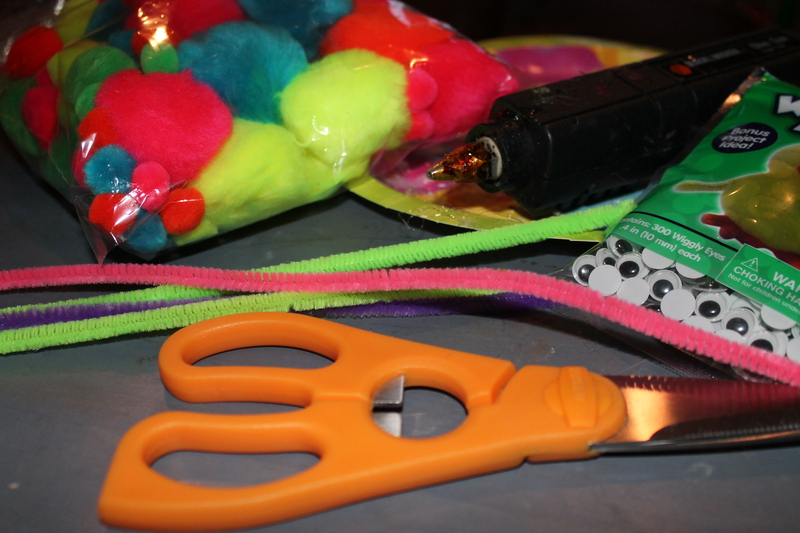 Use smaller pom poms for feet and then use your handy hot glue gun to put your creation together. 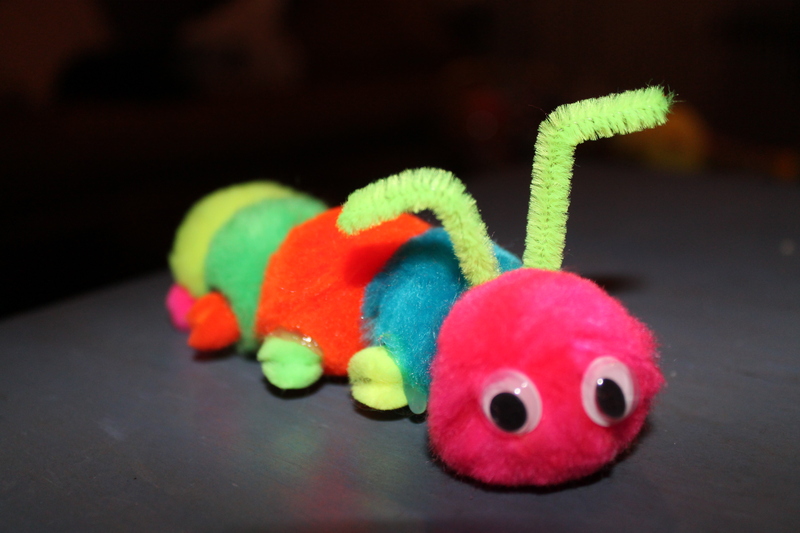 The caterpillar was my first one I made and one of our favorites. This is a fun craft to do and kids will love them. But when it comes to the use of the hot glue gun make sure you take on the job and be cautious with little ones and wiggly eyes!